My 101 Years: My View #105 - How Old Am I? My View #105 - How Old Am I? It is hard to imagine what goes on in a child's mind, when we ask this kind of question: "How old do you think I am?" Stunned silence. I was visiting at a pre-school class, unprepared, when their teacher asked them that question. One shy little girl said "Five," a chirpy little boy said, "Six," and another little girl said, "A Gramma." Kids tell you a lot with these kinds of answers. I was so surprised, and thrilled, and wondered just what they did see in me, a 94 year old lady. They sort of knew me, I had been to see them often to tell them stories and sing kid songs to them. The age connection is missing. I was bigger than them physically, but not far from their mental level and capacity by their answers, someone to play with and a friend Small children are a treat to talk with, and that saying is so true, "you can't put old heads on young shoulders." One day, leaving an elevator with several people, a four year old boy saw my cane, stopped and said to me, "Why do you need that stick, is it because you legs don't work too good, or because you are just too old?" I smiled at him and said "I guess it's because I'm just too old, dear." He was happy I told him the truth, and we all headed for the restaurant. His mother looked a bit flustered, but a smile does wonders and all was fine. One of life's brighter moments. On different occasions I have been told I looked about 68, 70, 80, 85, and 90. What a lark! Letty always looked younger than her real age until the last few years of her life. 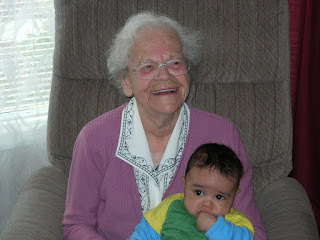 She loved children and was an excellent grandmother. When I was an older teen, she babysat her doctor's two youngest children. 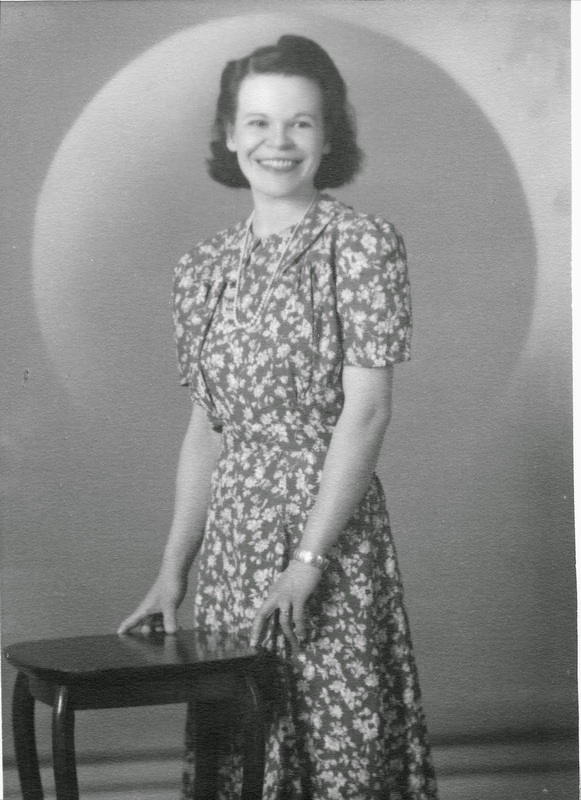 She would have been in her fifties at the time, when one of those kids informed her that she was "old, because she had grey hair." My View #90 - Corsets? Bah! My View #95 - Planet in Peril? My View #104 - "Band"